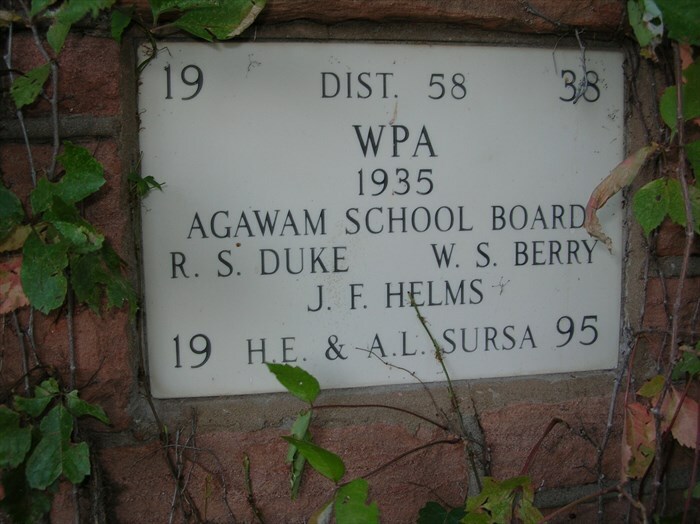 “The school Gymnasium at Agawam (pronounced by the locals “Egg’-Wom”, is a rectangular building constructed of red brick by the WPA in 1935. 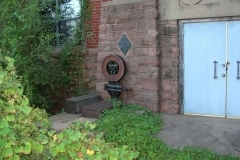 Trees and ground cover have grown up around the building and it is very difficult to approach or photograph. 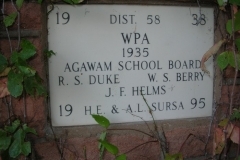 For several years recently, the building was used by an antiques and collectables business, Agawam Mercantile. 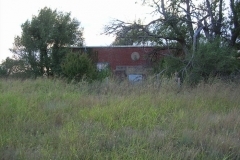 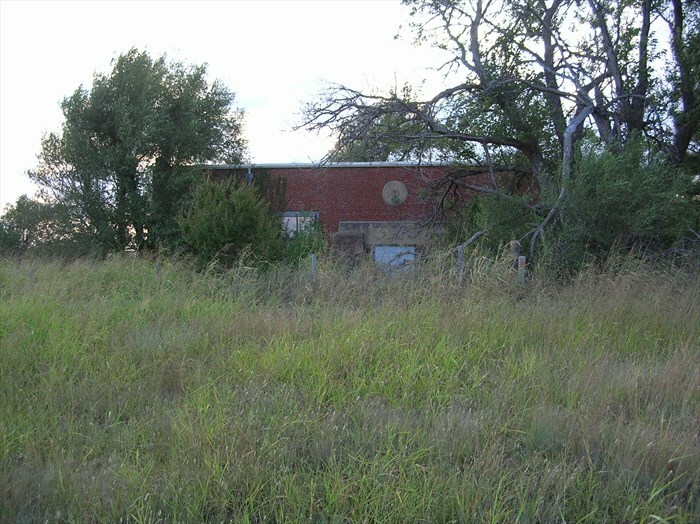 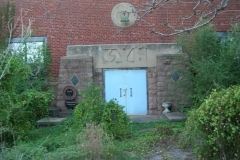 The gym is located on Highway 81, just south of CR 1470. 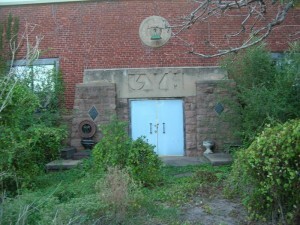 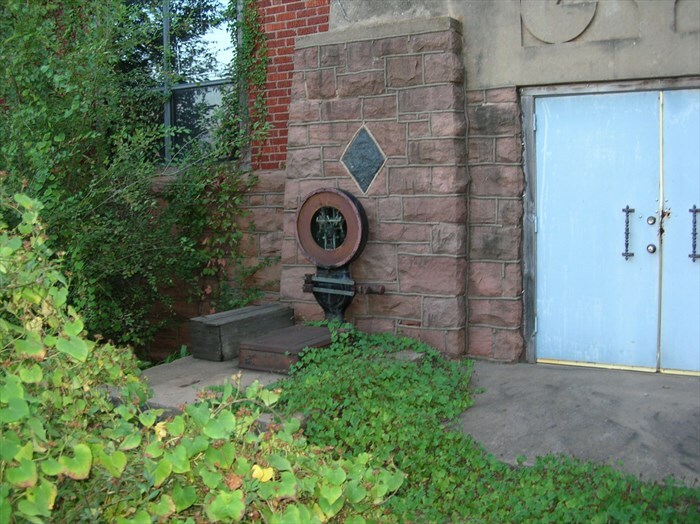 The main entrance, facing east has double metal doors, with projected stone pillars to each side. Above the doors a modern-looking, stylized “GYM” is engraved into a stone panel.